Disney Vacation Club is a time share membership program offering every member access to more than 500 Disney-branded and partner destination properties worldwide on a points-based system. Subcontracted massage therapy services were provided for Disney Vacation Club guests at Disney’s Old Key West Resort in Orlando, Florida. 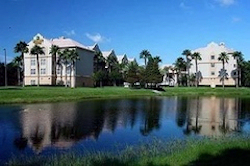 Disney Institute was originally developed as a family-oriented resort property offering a wide array of educational and recreational experiences for all ages. Disney has changed the focus of this business, and now offers business consulting and professional development under the Disney Institute brand. 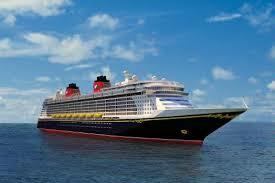 Disney Cruise Line has been providing families with the Disney Experience at sea since 1998. Its four ships entertain guests of all ages as they sail to the Caribbean, Bahamas, Alaska, the Mexican Riviera and Europe, as well as Disney’s private island for cruise line guests only, Castaway Cay. In collaboration with Walt Disney World Recreation, property-wide programming was developed, including all programming for the Institute’s Sports and Fitness Center. Oversight was provided for blueprint-to-operational spa facility development for the first Disney Company-owned and operated spas at Disney Institute and aboard two Disney Cruise Line ships. Involvement included facility design and development, operations planning and staffing, spa pro forma and third-party contracts, budget development, and development of operating strategies between Disney Institute and Walt Disney World Recreation.